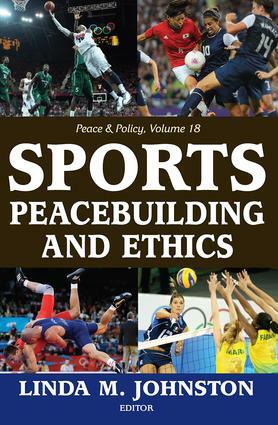 As this latest volume in the Peace & Policy series shows, sports can be an effective mechanism for peacebuilding, especially when incorporated into conflict-resolution programs. Such programs have been designed to bring children together in post-conflict situations with an ultimate goal of reducing future violence. In examining such programs, the volume's contributors ask key questions: "What are the programs achieving?" and "How are they measuring success?" Although such programs have by and large been successful, some issues need to be addressed if these programs are to hone their effectiveness.Among the questions explored in the volume are: various aspects of culture and how they can help shape sports programs; the role of a coach in creating a culture of peace, and how this culture can fit into a peacebuilding process. Contributors also examine the role of sports in trauma relief programs in Rwanda; the role of universities in sports; and the role of sports in the demilitarization of child soldiers.The last three contributors tackle some of the legitimate concerns raised about using sports for peacebuilding, such as sports being competitive, violent, and focused on winning. Contributors look carefully at these and other issues that have arisen in sports as a tool of conflict resolution, discuss why they have become concerns, and consider some possible ways to deal with these concerns in the future.